Floods, ministerial consent, and gaming machine entitlements. 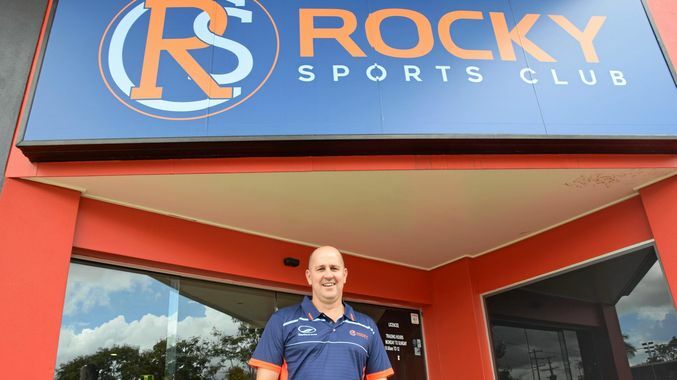 A little over a year later, and the old CQ Leagues Club premises in Rockhampton is reopening with new owners, new community initiative, and new lease on life as the Rocky Sports Club. The CQ Leagues Club appointed Worrells voluntary administrators in January last year, and was formed in 2009 in support of the bid to host a National Rugby League team in Central Queensland. Its licensed premises at 1 Lion Creek Road, Rockhampton employed 25 staff locally. Fortunately, the voluntary administration appointment and subsequent liquidation, did not disrupt the Rockhampton Brothers Senior Rugby Leagues Club following the CQ Leagues Club’s closure. Floods hit the region and the premises sustained water damage, which somewhat protracted the sale of assets. (For this chapter of the story, read article: Insolvency building insurance and the message on the roof). Expressions of interest campaign to sell all the CQ Leagues Club’s assets as a group purchase (building, contents, special lease of land, gaming machine and its entitlements). Buyer found and still interested, despite knowing that the insurance claim for the water damage to the premises was unsuccessful (further to the article above). Contract terms set on assets being sold to a partnership (individuals). Contract later rescinded due to legal technicality that gaming machine entitlements could not be transferred to a partnership structure. New contract was drawn selling the assets to a not-for-profit club entity (company limited by guarantee). All outstanding gaming taxes had to be paid before the liquor license and gaming machine entitlements could be transferred to the new entity (owner). The Department of Natural Resources and Mines had to approve via the somewhat arduous process of ‘Ministerial Consent’ before transferring the state-issued special lease of land. We incidentally uncovered an operation of the Gaming Machine Act 1991 (section 109H) that required us to obtain legal advice regarding the validity of the bank’s security held over gaming machine entitlements. That advice stated that security cannot be held over gaming machine entitlements; however, once sold and converted to cash, the security attaches to the cash proceeds. But, this changed the nature of this asset to a circulating asset, which then impacted the order of paying dividends to secured and unsecured creditors. This was favourable to the employees as unsecured creditors as the proceeds were available to pay employees ahead of the bank. Then when the sale contract was due to settle a liquor supplier lodged a caveat over the special lease—some nine months after our appointment, postponing settlement! (The caveat was able to be lodged as this creditor had the right to lodge caveat as an agreement term, and had not lodged a proof of debt in the administration). Priority employee entitlement claims under section 561 of Corporations Act 2001 applied (in advance of secured creditor using proceeds of circulating asset realisations). $815 to the Australian Taxation Office (ATO) for superannuation (100 cents/$). $3,272.00 for Fair Entitlements Guarantee (FEG) payments (government scheme to assist employees of insolvent entities) (100 cents/$) for leave entitlements. $49,130.87 to FEG (49.76 cents/$) for retrenchment payments. 3. No dividend to major secured creditor ANZ—they suffered a significant shortfall of $1.6M—largely due to the nature of the security they held over the assets. As reported in The Chronicle, the new owners opened the doors in February this year to welcome the sporting team representatives and local political dignitaries including Senator Matt Canavan, Rockhampton MP Barry O’Rourke, Rockhampton Region Mayor Margaret Strelow, and RRC councillors to share the concept behind the new Rocky Sports Club. The concept aims to unite the Rockhampton region’s sporting clubs, as a free initiative, under one roof at 1 Lion Creek Road. The Chronicle reported that 20 sporting clubs had already joined with another 30 expected; 20,000 sportspeople and families anticipated to be involved; and around 60 jobs have been advertised. This story shows that insolvency doesn’t always mean the end. Photo: sourced from The Chronicle.